Nice guy.. Great service ... Can't wait for the disco dome at Christmas! Thank you very much bounce buddies!!! Our two year old and friends loved your castle. Will definitely recommend, couldn't be more helpful. Thank you. A perfect traditional style bouncy Castle for little kings and queens alike. The bold and vibrant colour used on this bouncy castle attracts the attention of any child keeping them entertained for hours. Price includes delivery set up and collection. All sizes are approximate. Bouncy Castles will require extra room at the front back and sides to allow for blowers and crash mats ECT. It is your responsibility to check the proposed site is large enough to accomodate the entertainment you have booked. As a general rule you must allow 2ft (60cm) at the back 2ft (60cm) at the front and 1ft (30cm) down each side so a 12 x 12ft (366x366cm) bouncy castle will require 15x14ft (457x426cm) clear to be set up correctly. Bounce Buddies Wakefield reserve the right to refuse any booking made if the proposed site of the castle is not big enough to accommodate it or is unsuitable and you will still be charged. 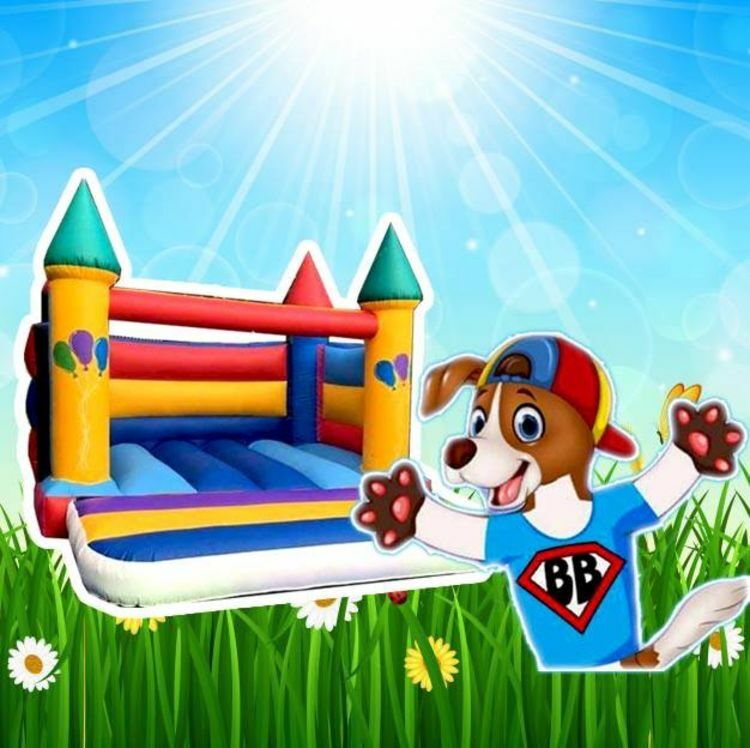 Thank You For Visiting The Bounce Buddies Website! Bounce Buddies Wakefield © 2018. All Rights Reserved.